This collection of tried and tested STEM resources support elements in extended practical projects. Each resources can be used in a number of contexts whether to build skills for extended work or incentivise groups in team projects. Select to preview or purchase from my TES shop. This collection of workbooks take pupils through developing a light activated flashing Santa hat using the BBC micro:bit. 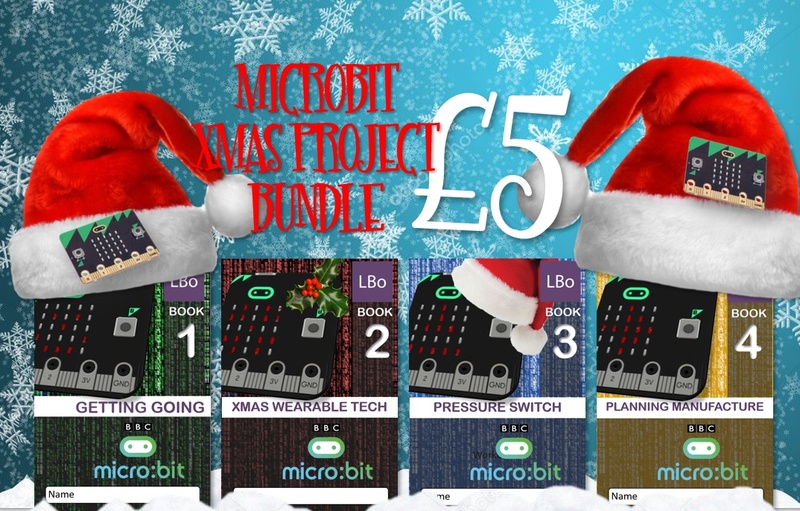 OK, you may need to buy box of Santa hats, but if you have some micro:bits around at £2 per 8 page workbook you may think it worth a little investment to take care of your planning in the lead up to Xmas. Wearable Tech Workbook 1 - Select image to preview or purchase from my TES shop. Identification of the micro:bit sensing capabilities. Designing icons for the LED display. Wearable Tech Workbook 2 - Select image to preview or purchase from my TES shop. Exploring alternative inputs and outputs. Identifying how to adapt your Santa hat. Wearable Tech Workbook 3 - Select image to preview or purchase from my TES shop. Making home made pressure pads. Wearable Tech Workbook 4 - Select image to preview or purchase from my TES shop. Establishing an order of operations. Composing a time plan for manufacturing. "Laurence is one of those rare managers who effortlessly combines his visionary leadership with a fair and inclusive approach. Laurence truly understands the essence of leadership and collaboration."